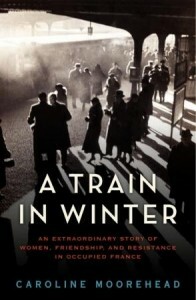 A Train in Winter by Caroline Moorehead strives to shed light on the occupation of France by Germany during World War II and the rise of the French Resistance, particularly the role of women within the resistance. Of the 230 women who were arrested and sent to Auschwitz in Poland, less than 50 survived, and seven were alive when Moorehead began researching and writing this account of their story. Impeccably well researched, the book takes readers behind the scenes of the French Resistance, and in many ways the level of detail presented can be overwhelming, especially for those not well acquainted with the ins and outs of the time period. However, this iteration of facts, times, places, and events serves to demonstrate just how confusing a time the German occupation of France was for those who lived it and sought to overcome it. Clearly, Moorehead’s forte is in biography and she is deft at handling facts and ensuring that they are well explained in accordance with interrelated events and moments in time, but the text is often dry and tough to remain engaged in. However, even among these facts, there are pockets of emotion where mothers decide to ship their children to foster families or relatives outside Paris so that they can continue working with the Resistance without endangering the lives of their children. Still others opt to include their children in the fight to restore a free France. Moorehead fills in some of the history and familial background in for certain women, but in a way, this litany of facts detracts from the ability of the reader to connect more emotionally to these women. It is not until part two that some readers will become truly engaged in the story as the women are tortured and learn to cope with their sparse surroundings at Auschwitz. The bravery and solidarity of these women is phenomenal. Unless readers are willing to wade through the political ins and outs of the early French Resistance and occupation of France and the French police’s collaboration with German occupiers, they may not make it to the more engaging and heart wrenching parts of the story. Moorehead has chosen to tell a true story and to ensure that those who were present have their say in how that story is told, but it may have served better for the story to focus on just a few of the women from the beginning, allowing them to be the face of the others’ struggles. To visit the other stops on the TLC Book Tour, click the icon on the left. 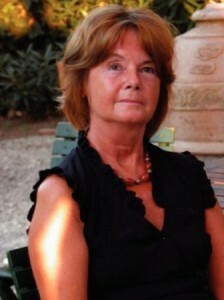 The author of numerous biographies and works of history, including Gellhorn and Human Cargo, Caroline Moorehead has also written for The Telegraph, The Times, and The Independent. The cofounder of a legal advice center for asylum seekers from Africa, she divides her time between England and Italy. This is my 74th book for the 2011 New Authors Reading Challenge.